Will Buffalo Learn this Lesson? 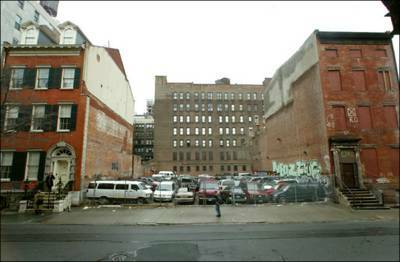 With a parking lot between them, the Samuel Tredwell Skidmore House, right, stands in forlorn contrast to another landmark building, the well preserved Merchant's House Museum, left. 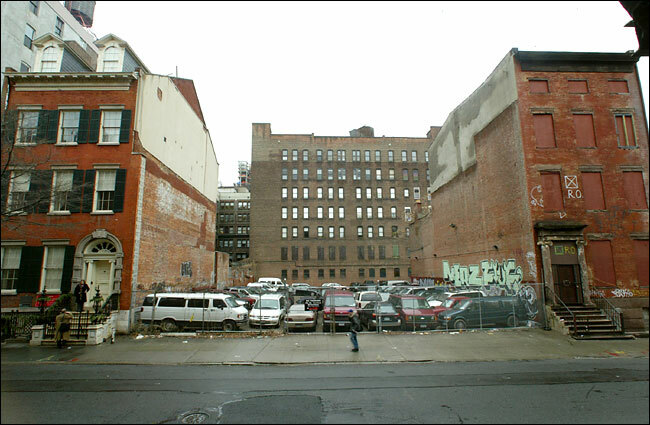 It would seem that the Landmark Preservation Commission in Manhattan was fed up with the delay tactics of the owners and ended up last week with a court ruling that might set a precedent. Of course the cool thing here is that they didn’t seek to create new legislation, they vigorously enforced current law. Whether the precedent is even considered here in Buffalo, NY is another matter. 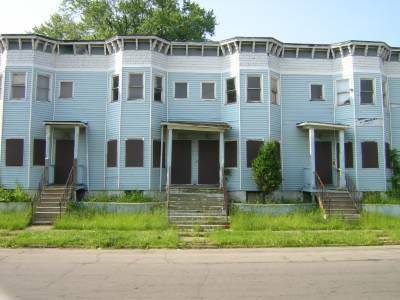 The hurdle of course for the Woodlawn Row Houses is that the owner is the entity that should be enforcing the law, the City of Buffalo. The full text of David W. Dunlop’s December 28, 2004 New York Times article can be found here. The Samuel Tredwell House has been in the news before, here, here & here. Photographer and well known writer documenting New York's architechtural heritage, David's most recent work is currently on display at the New York Historical Society. The Merchant's House Museum is located next door at 29 4th Street. They are open Thursday to Monday 12-5pm. The museum's website has numerous links to preservation groups, local historic and smart urban issues in Manhattan. And don’t forget to check out New York City’s Landmark Commission. Here, permit decisions are available online!! 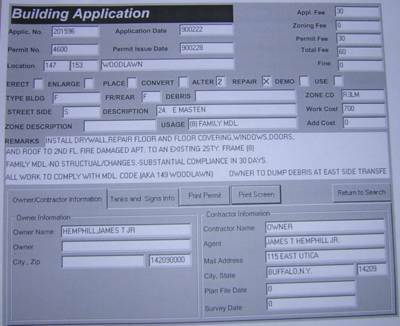 The project site, is the historic Sarabeth Building, 1219 Main Street, in what was once called Buffalo’s Midtown. The building is eligible for the National Register of Historic Places, and the site contains additional property to accommodate new construction behind the existing building. On Nov. 15, Artspace signed a purchase agreement. As now planned, the project will consist of 55 live/work units in two buildings: the Sarabeth Building and a new structure behind it. There will be 30 live/work spaces in the Sarabeth Building and 25 in the new structure, ranging in size from 800-square-foot efficiencies to 1,700-square-foot three-bedroom units. In addition, 13,000 square feet of commercial space on the street level of the Sarabeth Building will provide offices and other space for arts organizations and arts-related businesses. The area between the two buildings will be used as a common space where residents can plant, work, and perform. Residents will have easy access to the Main Street Transit line, Buffalo’s only subway line, which runs directly in front of the building; the nearest station is one block away. Check them out here and get their updates, too. You can view a slide show of ArtSpace projects around the country, too. New street signs, pedestrian friendly lights, new cross-walks. This is the corner of Masten & Woodlawn. Buffalo Traditional High School is behind me. The fence on the left side surrounds the construction site for a new youth center that a local congregation is building. A few weeks ago intersection improvements such as these were completed at various places along Masten & Michigan Avenues. Both avenues were converted to accomodate two-way traffic. Close-up of new pedestrian friendly crossing lights at the south eact corner of Masten & Woodlawn. Join the Conversation! Sign the Petition!!! Lively debate here about this project. Seems like the good folks at SpeakupWNY attract a wide audience and not just the people who no longer patronize Pano’s. 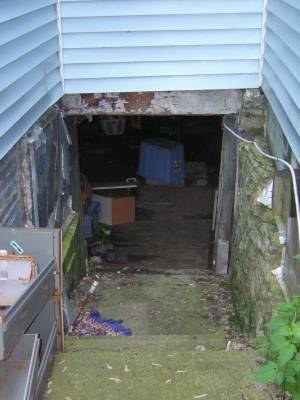 There are a number of other posts regarding additional preservation projects here. Registration is free and really easy. Join the conversation. This month’s pictures will be up sometime tomorrow. Please take a moment to sign the Petition! You can add your name to the petition online. Simply click here and add your electronic signature. I am posting up-dates on a weekly basis, so check back often. 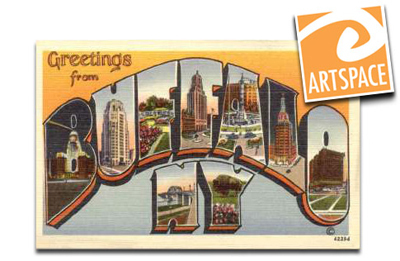 To spread the word about this campaign please pass the petition along to friends, co-workers and other people you know who are interested in the preservation of Buffalo's local and historical landmarks. Last Friday I delivered this letter to the Mayor Masiello, David Franczyk - President of the Common Council, Masten District Councilman, Antoine Thompson and Chief Building Inspector Lou Petrucci. Lou, as the city's represenative, has agreed to meet Architect Clinton Brown and Scott Field, Executive Director of the Preservation Coalition and myself for a much needed interior inspection and assesment of 147-153 Woodlawn Avenue. I'll keep you posted with details as they develop. If you would like to be on hand and see the interior of 147-153 Woodlawn, let me know and I will keep you informed. As expected Council President David Franczyk is very interested and supportive of the preservation of the Woodlawn Row Houses. I had an opportunity to meet with him on Friday afternoon to discuss the current condition of the row. Here's a number of posts and links about an architecturally and historically significant City-owned house, located at 16 Harwood Place - Lyth Cottage (see map). 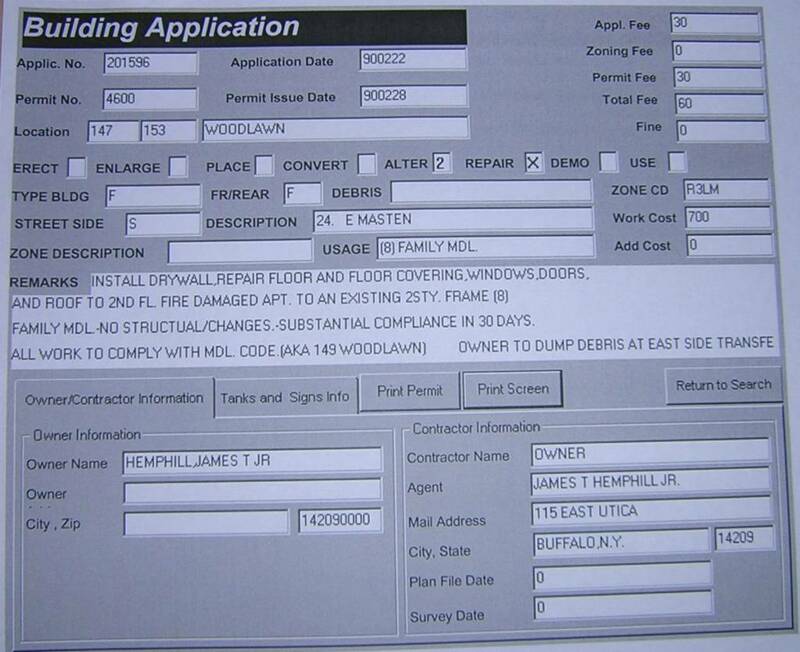 Records indicate that the city of Buffalo has owned the property since 1997. 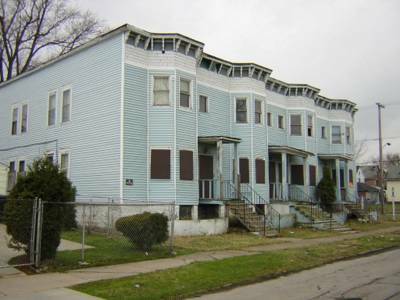 16 Harwood is situated within the Hamlin Park Historic District - steps from Canisus College and Mayor Byron Brown's residence. 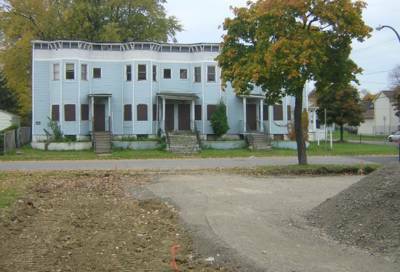 For additional information about Hamlin Park see Mark Goldman's piece - Buffalo's Historic Neighborhood: Hamlin Park - that appeared in Spree , 2000. 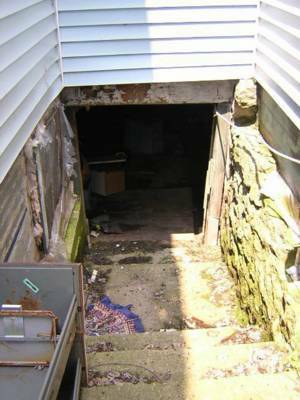 Make sure to check out the latest pics of 16 Harwood Place - here. 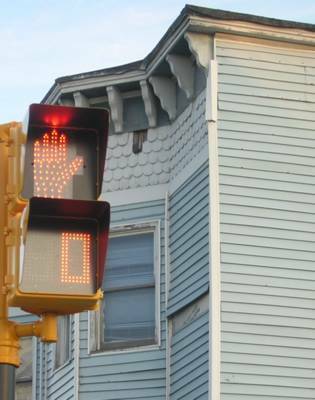 A few phone calls to the 3rd floor this week (851-4949) regarding the building’s open exterior and an e-mail exchange with Chief Building Inspector Louis Petrucci (851-4935) yielded as you can see, no progress. You can compare these pictures to the pictures from March – October located in the previous posts. In an un-related matter ground was prepped last week for a new youth center directly across the street from the Woodlawn Row Houses. You can see the site work in the second picture. 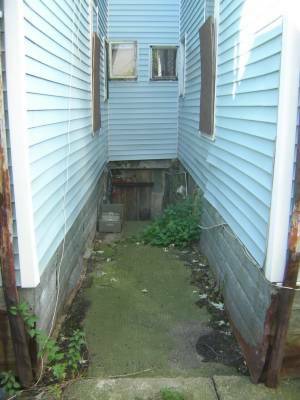 This site has been "shovel ready" for a number of years. I'll update when I have additional information. Any thoughts on which project will be completed first? Please take a moment to review the posts. The blog's archive provides background and additional information about the initiative's history. 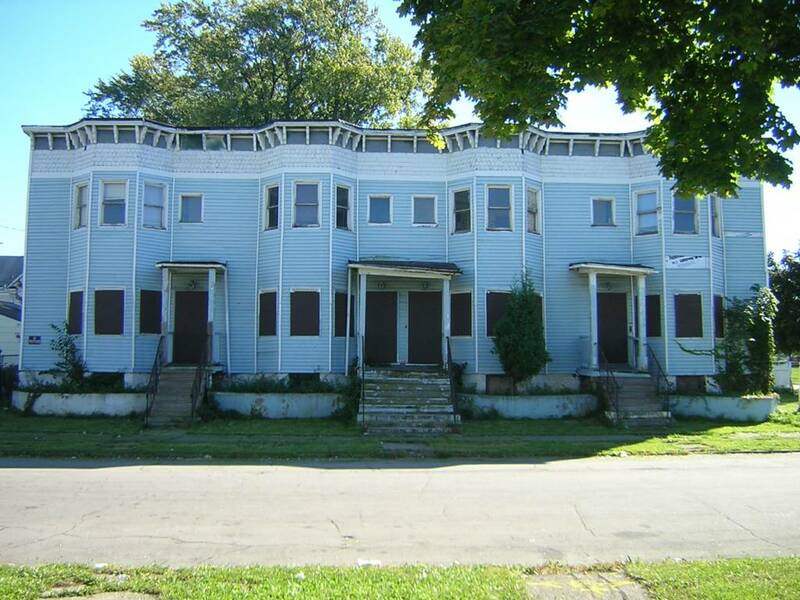 Buffalonians love their architectural heritage, so please read and sign the petition to help save the Woodlawn Row Houses. They were designated a "local-landmark" by the Preservation Board in 1981. This building is owned by the city of Buffalo. 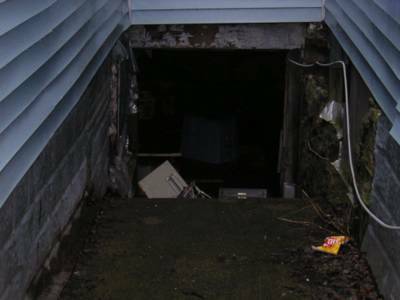 It is located diagonally across from Buffalo Traditional High School. When you click on and open this map, you will see that the Woodlawn Row Houses were once part of a larger cluster of 21 row house sites in this little corner of the Masten District. There are three remaining sites. Most of the stories here on this blog have to do with developments here in this little corner of the Masten District. 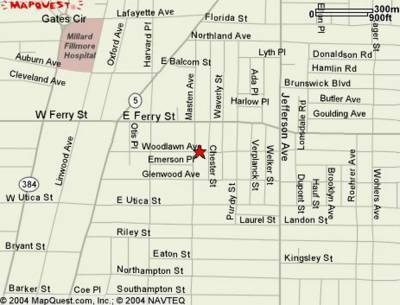 Here, I mostly limit myself to issues impacting the neighborhood bordered by Main Street and Jefferson -- East Ferry and East Utica. It is a 25 block area! Read about Performing Arts moving into this neighborhood! There are other stories I follow, too. 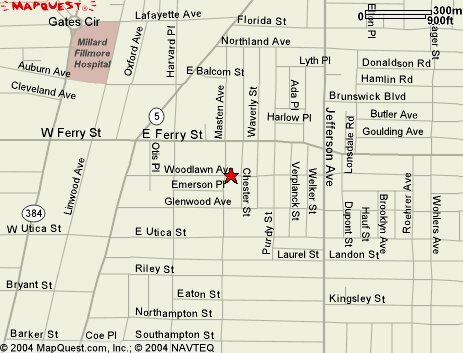 Here's a street map to help orient you to the Woodlawn Row Houses. 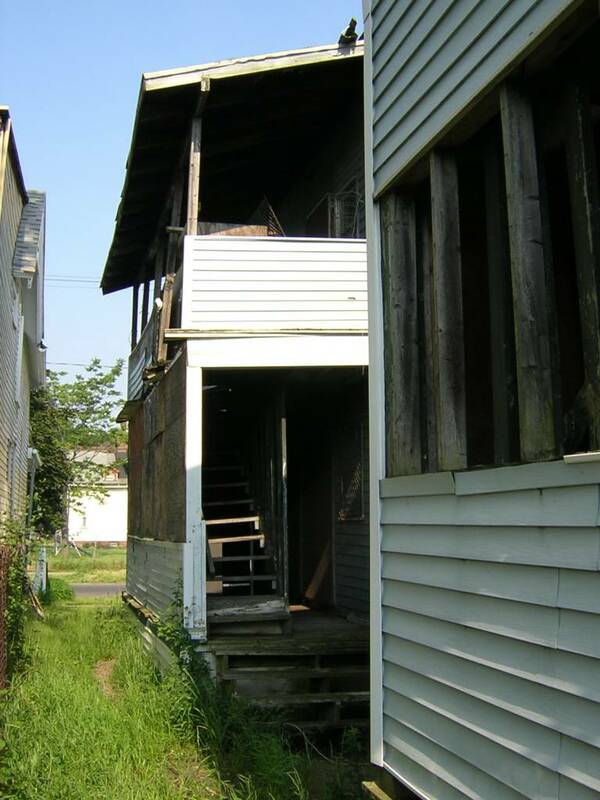 The Mayor, Council President David Franczyk and Masten District Councilmember Antoine Thompson and Chief Building Inspector Lou Petrucci are aware of the condition of this "local-landmark." They understand that the city of Buffalo is the legal owner of this building. 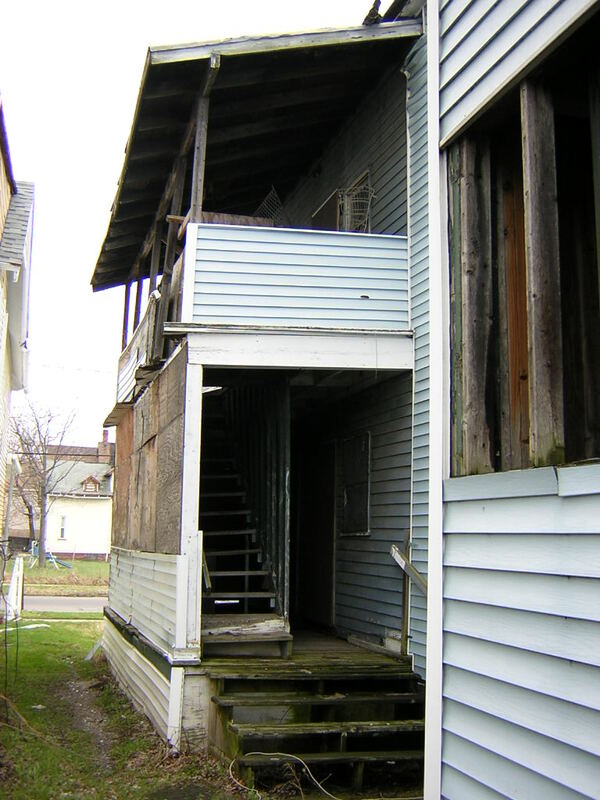 Please join us in our attempt to hold the city of Buffalo accountable for rapidly deteriorating condition of this "local-landmark." 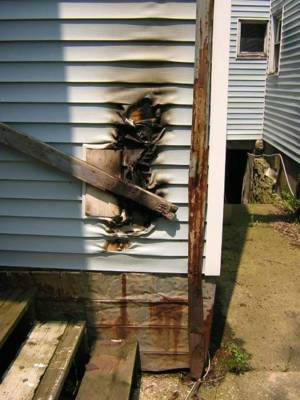 Secure the building from additional decay. Establish a non-profit organization and raise private funds to properly secure and preserve this "local-landmark." If you would like to join this initiative, please contact me. Take a look through the archives to see what we are losing and examples of what we have to gain. Please take a moment to read and sign the petition. If you should have any questions or would like additional information about this little corner of the Masten District please let me know. The best way to do that is thru e-mail. 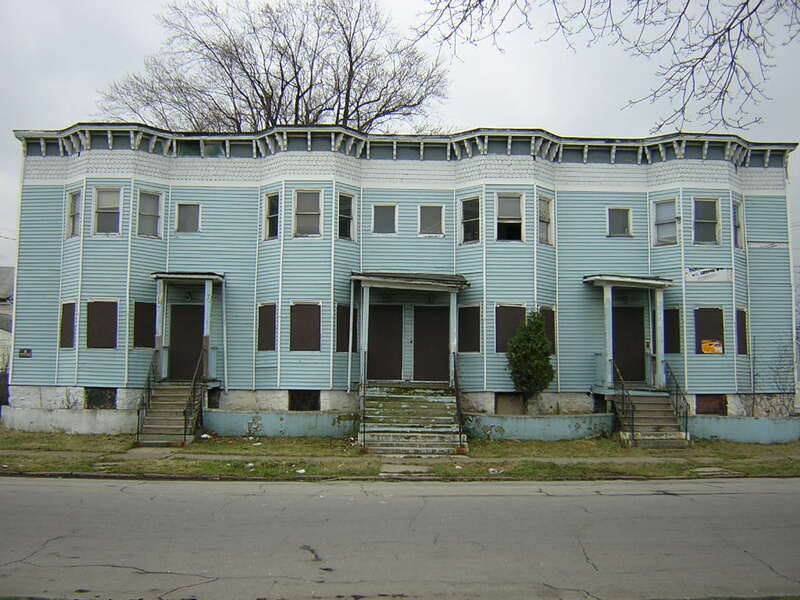 Where are the Woodlawn Row Houses? 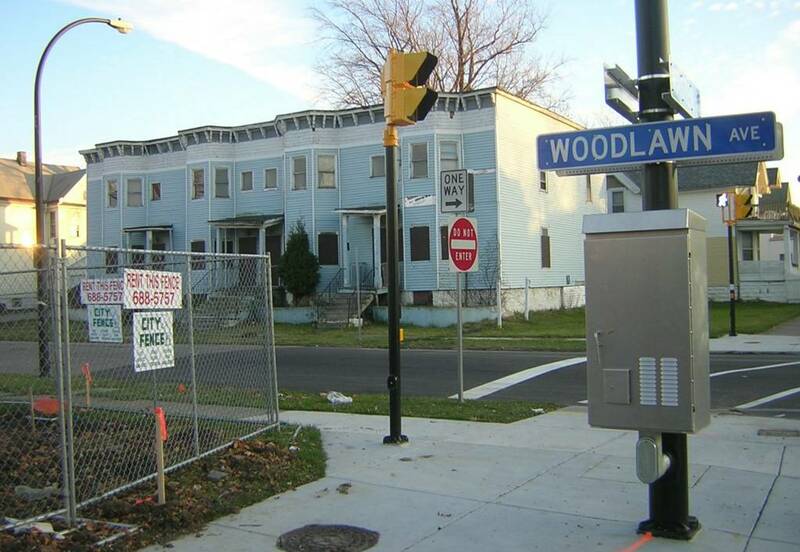 I've had numerous conversations with people this week who didn't know where "The Woodlawn Row Houses" were located. Here’s the map. You can see the bigger picture , too. The weekend looks good; I'll be taking pictures tomorrow afternoon to add to my growing documentation of the deterioration and imminent demolition of this "local-landmark." I encourage you to venture out and walk across Main Street and venture over to the ‘hood and check out the row houses for yourself. 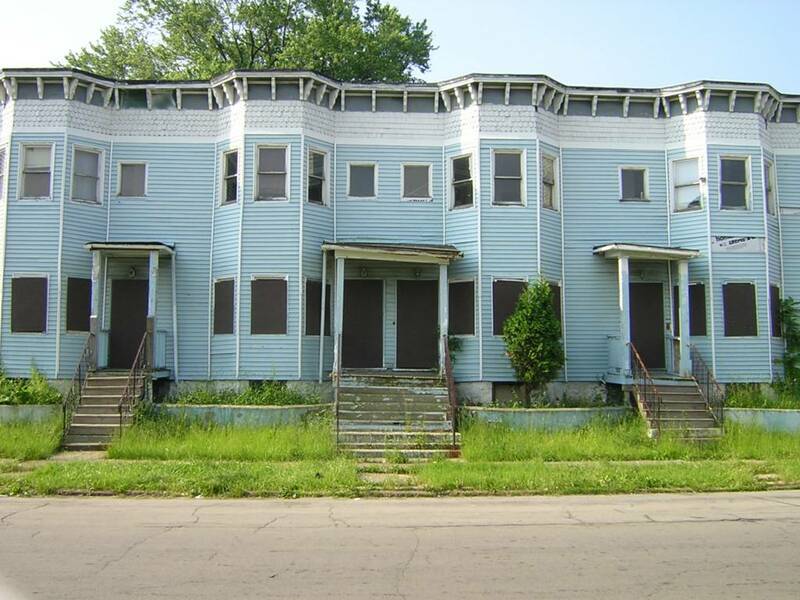 Woodlawn Row Houses – Endangered!!! Chuck LaChiusa has given the campaign to save and preserve the Woodlawn Row Houses a big boost. He has linked this blog and campaign to the Erie County Preservation Coalition’s website. Dennis Galucki, founder and coordinator of the Buffalo Architecture Center has linked to this blog. They have The Woodlawn Row Houses listed under the endangered catagory, same as the "Atwater House." We'll take this is a formal declaration. 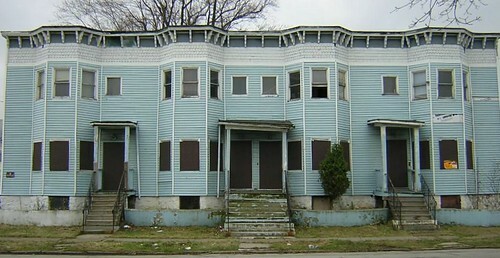 The Woodlawn Row Houses --- Endangered!!! The Buffalo Architecture Center is located in the Market Arcade building, 617 Main Street which was built in 1892 and designed by E.B. Green and William Sydney Wicks. Bob Stasio from the 3rd floor Fire Prevention Dept. made the City’s collection of Sanford Maps available to me late last week. This photo represents the area surrounding this project. 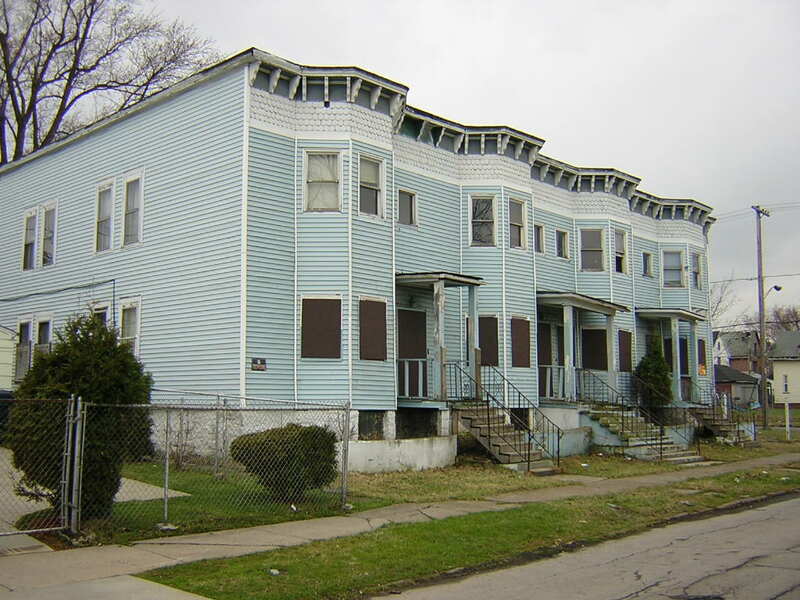 147 -153 Woodlawn is located near the south-east corner of Masten & Woodlawn. 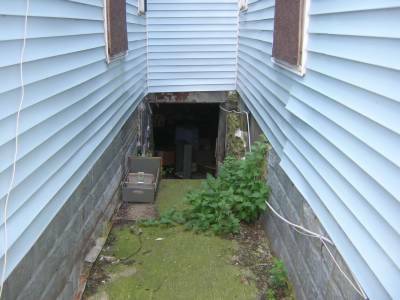 Here it is the second property to the east of that corner. It is represented on the map by the four connected properties. This series of maps is dated, 1926. The concentration of other row-house complexes in the neighborhood, is remarkable. I counted thirteen row-house complexes. They are unique to this part of Buffalo and based upon my early research this is the only part of the city that experienced this development. 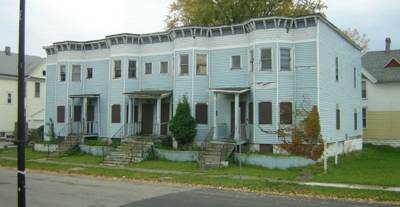 I paged thru the maps for the surrounding area and located one other set of wood frame row-houses. 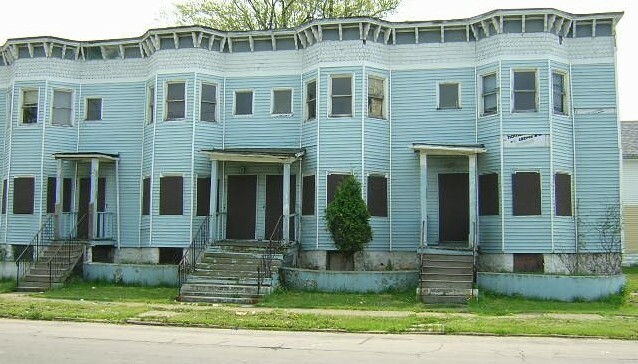 This is the row that was demolished in the 1998 on the corner of Laurel and Michigan. The proximity of these row-houses to Offerman Stadium would have been about the coolest thing, I think, about living here in Cold Springs. If anyone has pictures of Offerman Stadium from the day, let me know. I’d like to include them in an emerging story about the neighborhood. Thanks to Scott Field, Executive Director of the Erie County Preservation Coalition, for the spot on last week’s agenda. 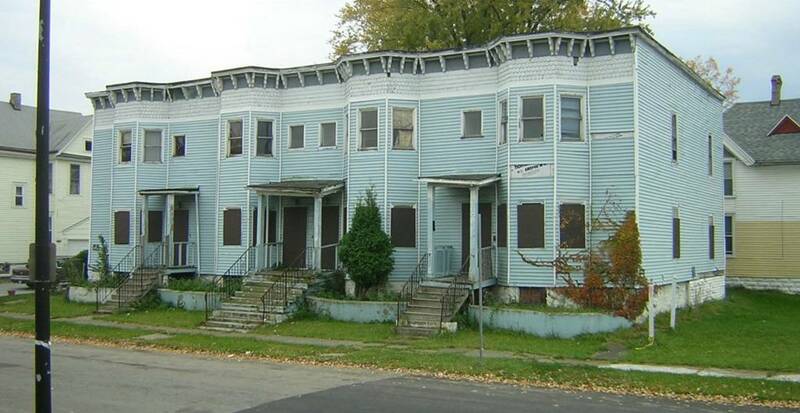 The board heard a brief history of the Woodlawn Avenue Row Houses. I presented a strong case for collaboration and community involvement in calling additional attention to the imminent “demolition by neglect” of this local landmark. I focused my remarks on the ownership history and the growing neighborhood concern regarding issues of safety and crime. 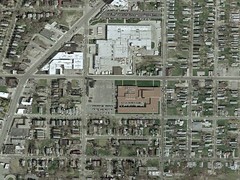 The building is wide open in the back and is located diagonally across from Buffalo Traditional High School. Various Board Members expressed a willingness and strong desire to help stimulate stronger awareness regarding the condition of this building. 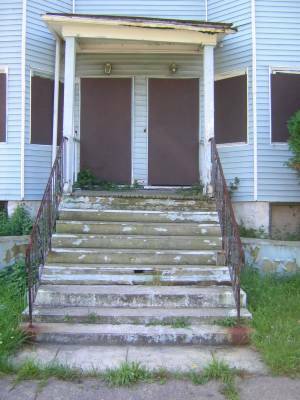 The suggestion was made to assemble a non-profit organization which would be responsible for the preservation and future end use of this local-landmark. Towards this end a number of board members have agreed to assist in this endeavor. 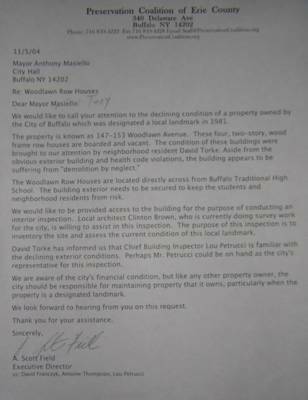 In addition it was decided that a strong “letter of concern” be sent to the Mayor and Chief Building Inspector Lou Petrucci. 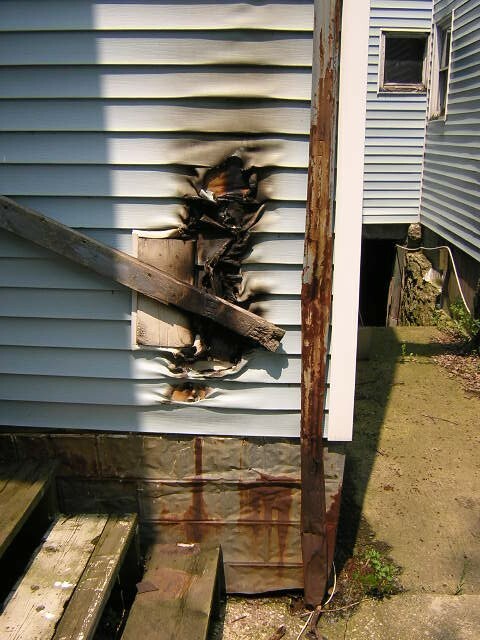 A request will be made for an interior inspection of the building at this time. 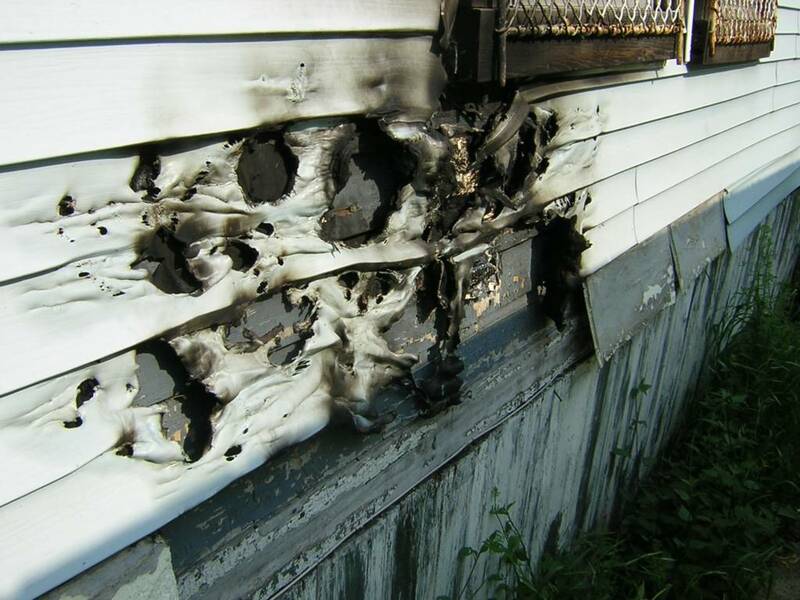 The Board did not specifically endorse the petition asking Housing Court Judge Nowak to compel the city to remedy the existing health and building code violations. A few board members thought this might serve to alienate the court. Other board members have signed the petition. Let me know what you think. View and sign the petition!!! Scott Field, Executive Director of the Preservation Coalition of Erie County, has placed "The Woodlawn Row Houses" on the agenda for the Coalition's meeting on Wednesday October 20th and has asked me to address a growing number of questions and concerns about this property. The meeting begins at 6pm and will be held at 340 Delaware Avenue. Please remember to sign the petition!!! "Save the Woodlawn Row Houses"
If you are reading this blog you may already know about the radio program, Smart City. Two items caught my attention today as I listened. First, What's Driving Innovation Today? "The Death of Distance" was predicted to be the logical outcome of the spread of technologies like the Internet and email. But who would have predicted that those same technologies would be used to bring people together face to face in real time and in real neighborhoods? Scott Heiferman is co-founder and CEO of MeetUp.com, and he has just been named "Innovator of the Year" by Technology Review. MeetUp.com is replacing traditional civic organizations with software and a database that allows people with common interests to organize themselves.Scott Heiferman is co-founder and CEO of MeetUp.com, and he has just been named "Innovator of the Year" by Technology Review. MeetUp.com is replacing traditional civic organizations with software and a database that allows people with common interests to organize themselves. Second, What Makes a Great Mayor is a program we know about. What makes a great mayor? It's a question we ask guests regularly here on "Smart City." But Tann vom Hove has made a career of it. He is editor and publisher of citymayors.com where there is currently a competition underway to select World Mayor 2004. Some 50 mayors from Africa, the Americas, Asia and Europe have made the contest finals. We'll find out why this week on "Smart City." Breaking News...Stop the Pending Demolition!!! Despite the claim, that the city’s historical and architectural heritage has cultural significance and economic importance, it would appear as though city officials are turning a blind-eye to one of the last remaining examples of row-house dwellings in the city. This boarded, derelict and vacant two story wood-framed row house complex is located directly across from Buffalo Traditional High School and a block away from Buffalo Fiscal Stability Authority Member Rev. Richard Stenhouse’s African Methodist Episcopal Church. While attention is paid to Pano and structures that do not have local, state or national preservation status, this building located at 147-153 Woodlawn Avenue was designated a “local-landmark” twenty-three years ago according to Tom Marchese. The city of Buffalo took possession of this property on July 30, 2002. It was sold at auction January 30, 2003 for $7,000. Despite numerous extensions granted and supported by Masten District Council Member Antoine Thompson, the prospective purchaser never closed the deal. The city rescinded the sale April 1, 2004. The building sits. Boarded, derelict and vacant. I have heard people talk about the process of demolition by neglect here in Buffalo. I know there is precedent for this process. Around the corner at Michigan and Laurel there was another wood-framed row house complex. It was designated a “local-landmark” in 1981 and was “demolished by neglect” in 1999. 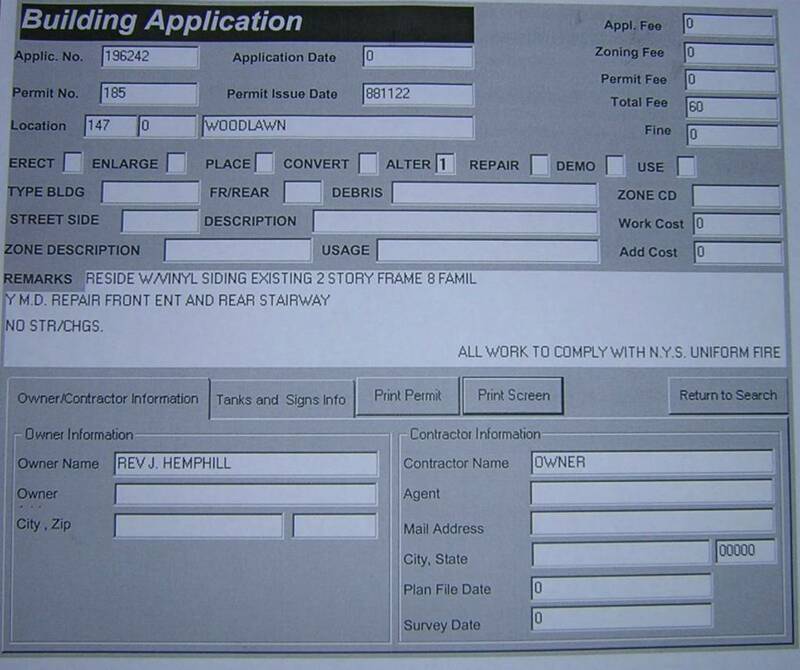 When I inquired in 1998 why a permit was issued to “shorten the windows,” I was told by a city inspector that, “you have got to be kidding, it does not have preservation status.” He was wrong. It did. Work stopped the next day. The building was demolished a year later with out preservation board approval. 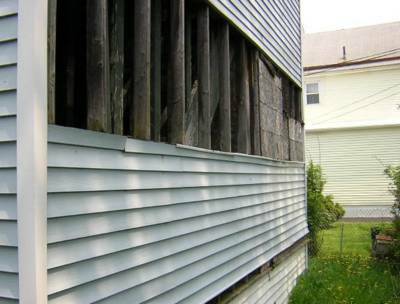 Demolition by neglect? Is there precedent for a designated local landmark to be demolished by neglect? Sure, on the east side. Is there a precedent for a building owned by the city of Buffalo that has been designated a “local landmark” to be demolished by neglect? “This has never happened,” according to Tim Tielman when I asked him about 147-153 Woodlawn Avenue. Concerned about preservation, or school kids safety? If this building was next to your child’s school would you be concerned? You might even take action. 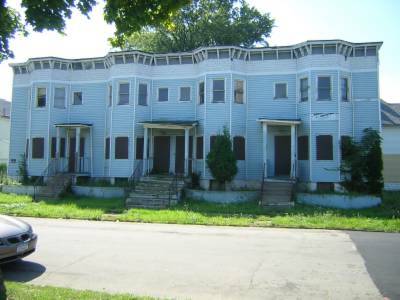 Please join me in asking Housing Court Judge Nowak to order the City of Buffalo to bring this building into compliance and facilitate the transfer of ownership to a responsible party before it’s too late. 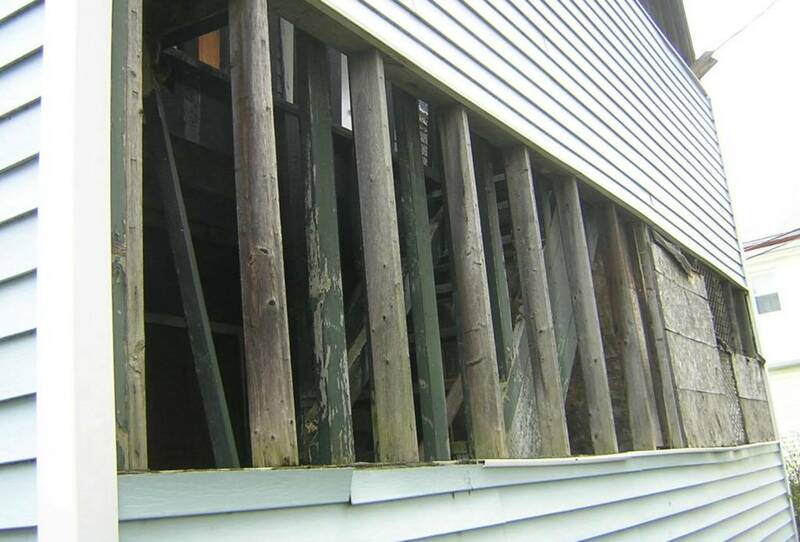 Demolition by neglect! Only in Buffalo! 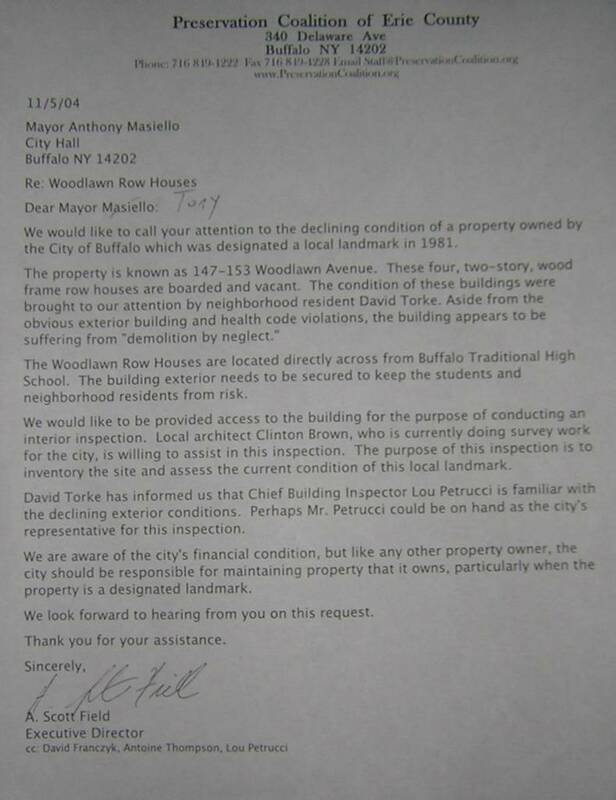 Please call Tom Marchese, members of the Preservation Board and Louis Petrucci, Chief Building Inspector. Express your concern, outrage and disgust about the pending “demolition by neglect” of 147-153 Woodlawn Avenue. If you are an attorney and would like to assist me in preparing a case against the city, to bring the city to Housing Court, please contact me. 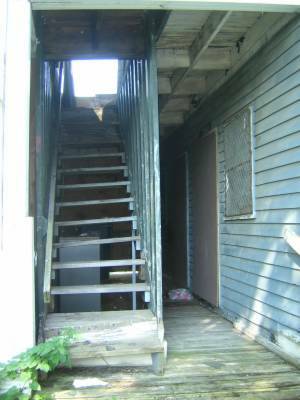 If you would like to participate in a press-conference on the steps of 147-153 Woodlawn in the near future, please contact me. The pictures available here represent my attempt to document what is happening at 147-153 Woodlawn. I will continue to document and provide pictures on regular basis until this property is in compliance with local building, health and preservation codes. If you would like a tour of the site or are interested in the other architecturally significant homes in the surrounding neighborhood, let me know. Despite the designation of “local-landmark” status in 1981, city building inspectors have a track record of ignoring this designation and approving exterior improvements to 147-153 Woodlawn Avenue. These are pictures of copies of building permits the City of Buffalo issued in 1988 and 1990. 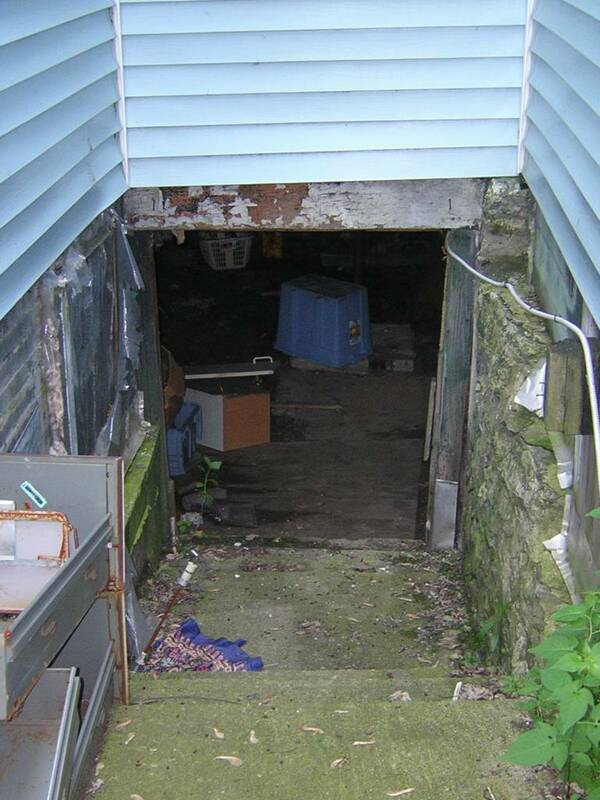 This is the first photograph documenting the condition of 147-153 Woodlawn Avenue.